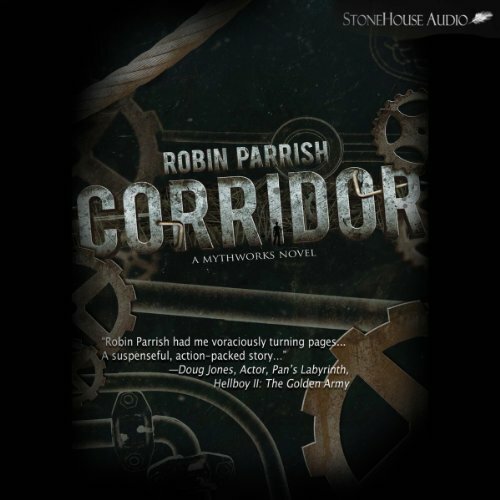 The only way out is to run... On the eve of his 17th birthday, Troy Goggin finds himself inexplicably transported to an impossibly huge, miles-long structure called the Corridor. But what is the Corridor, and why was he brought to it? It's a place of mystery, wonder, and heart-stopping danger. It will test him and push him both mentally and physically. His only companion is the girl whose voice he hears inside his head, explaining the rules he must follow if he hopes to escape. But there is much more to this extraordinary place than Troy could ever imagine. The Corridor's true purpose - the biggest mystery of all - is revealed only to those who make it to the end. I’ll start by saying that this is appropriate for tweens up through adult. It’s an interesting dystopian style thriller without any inappropriate language, zero explicit content, and not so descriptive as to be scary. I’d class it close to Maze Runner. The narrator did a very good job. No annoying falsetto or over the top voices. Great narration in excellent story. I wish RP would develop a series. I have listened to it more than once.